Monnaie Architects and Interiors is the best home designers and architects in Kerala with a record of more than 770 projects implemented successfully in South India. We deliver every single service that comes under home requirements in the most creative way possible. Our architecture plans, interior designs, interior furnishing and their execution reflects aesthetics, quality and innovation. We strongly believe this is why we are being recommended by many as the best home designers in Kerala and the best architects firms in Kerala. Today, we have expanded our services available in Palakkad, Ernakulam, Thrissur, Kochi, Kottayam, Trivandrum, Calicut and all other places in Kerala as well as in Bangalore and Coimbatore. 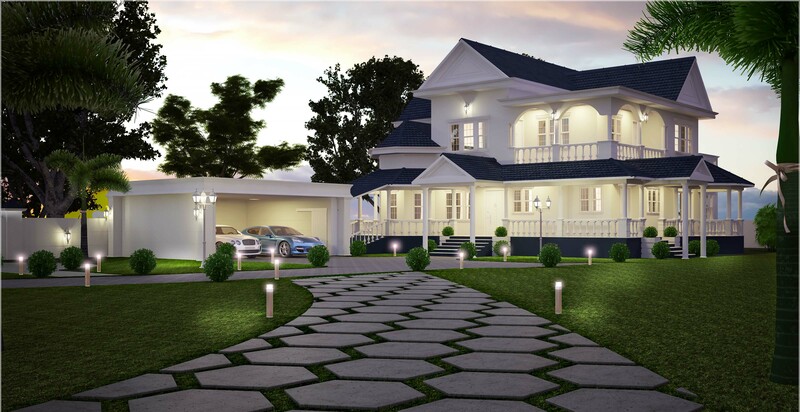 As a best home designers and architects in Kochi, Kerala, our architecture consulting service embraces both residential as well as commercial projects. Each and every requirement of the clients are analysed in detail by our expert architects & designers and then the plan and other details are developed assessing all the practical viabilities of the same. We have done turnkey projects in Palakkad, Thrissur, Kottayam, Cochin, Trivandrum, Calicut and almost in all other parts of Kerala. Our turnkey projects make you go stress free while building your dream home. It covers everything from Architecture Consulting and Interior Designing to Construction and Interior Furnishing, free from any sort of hustles. We are one of the best home interior designers in Kerala with branches in Kochi and Palakkad. Our interior designing services are unique, creative and they fit perfectly into the pocket of our clients. Client requirements and tastes are analysed one by one and are carefully executed. Our key highlight is designing interiors before construction itself. The most unique thing about our interior furnishing service is that all the furniture we offer are designed and manufactured in our own independent factory in Palakkad, Thrissur, Kochi after sufficient quality checking. After manufacturing, the furniture is dispatched from the factory and is set up in the concerned site by our experts. How we do it in our way ? There are certain reasons why our services stand out in the industry - professional ethics, and commitment to betterment. All our services come in both low-budget and luxury packages. Our clients get to choose any of them as per their requirements, taste and budget. Quality is one thing everyone focus on while building a home or doing interiors or furnishing for the same. We ensure it on all levels in all our services. Everything you need for your home is a part of our services. Get architecture consulting, interior designing, turnkey construction and interior furnishing from a single service provider across Kerala. Each and every service we do will be completed on time and we make sure no delays occur from our side. Even if anything occurs accidentally we will sort it at the earliest. We provide area wise cost details of the project along with complete material specifications. This is to ensure transparency in all our dealings and give the accurate details to our clients. We have strong expertise in whatever we do, be it architecture consulting, interior designing, home construction or interior furnishing across Kerala. For making your home plan to constructing and delivering it with the perfect interior furnishing- we do it all. Monnaie Architects and Interiors offers a strong technical expertise, a deep creative vision and broad architectural and home interiors design capabilities to meet client’s needs and tastes. We believe architectural and interior designing is an interesting piece of art and every single project that we put our hands reflects on aesthetics and our signature style. Also we deliver quality oriented services that reflects aesthetics, sustainability and innovation. With our dedication we have become one of the most reliable architectural and interior designing companies in Kerala. Our uniqueness is our strength and it has made us top the list of some of the best home designers and architects in Kochi, Kerala. Monnaie is the best home designers and architects in Kochi, Kerala for a long time and apart from that we have completed over 770 turnkey projects with an outstanding record of bona fide execution. Our Turnkey projects evolves from developing the basic layout of client requirements and then developing the architecture plan and interior designs based on that to implementing it in the most effective way possible. To accompany us on this mission we have a team of highly qualified architects, designers and engineers having thorough experience in the industry. We focus on budget oriented, time bound projects ensuring complete customer satisfaction. Monnaie Architects and Interiors, seeks to integrate appropriate green design strategies, materials and systems that respond to the unique context of each project and provide long term value to our clients. As one of the best home designers and architects in Kochi, Kerala, our services comprises of architecture consulting, turnkey constructions, interior designing and interior furnishing. More prominence is given to designing which we believe is the foundation of all our services. We also have an online furniture store that cater to the tastes and requirements of our customers. All services are provided with immense help from an experienced and qualified man power unit. Monnaie Architects and Interiors is the best home designers and architects in Kerala with its services extended to Ernakulam, Calicut, Trivandrum, Kottayam, Palakkad, Thrissur, Kochi and other parts in Kerala. Our works have been featured in several media platforms including televisions, magazines and social media. We have been actively participating in several media events and award shows in Kochi, Thrissur, Trivandrum etc. as sponsor partners. Being one of the best home designers and architects in Kochi, Kerala, our designers have been recognized and recommended by media and a lot of appreciations were received from people around the world. We believe this as one of the greatest way of acceptance of our works considering the influence of media in the present day world. We believe that designing should not begin with a prepossessed idea or style but should stream consistently from an accurate analysis and understanding of each project as a unique challenge. Monnaie Architects and Interior designers focus on client requirements, tastes and budget and develop designs based on the same incorporating our signature style as well. As one of the best home designers and architects in Kochi, Kerala, we ensure that the interiors of our projects are planned before the construction and thus make our customers completely satisfied with our services. Our strict adherence to quality procedures without altering the client budget has made us the best home designers and architects in Kochi, Kerala. Being the best home designers and architects in Kochi, Kerala, our unique selling point is ‘what you see is what you get’. For making this statement true we focus on developing exclusive designs as per our clients’ requirements right from the time of designing. The practical viability of the designs are checked and necessary alterations are made as required. We also evaluate the latest trends and quality materials available in the market. This helps us to deliver the project just as the 3D view presented during the initial stage. Looking at all our exterior & interior designs, we can assure that each of them was designed with client requirements, tastes, and preferences in our mind. We also design interiors for constructed homes.